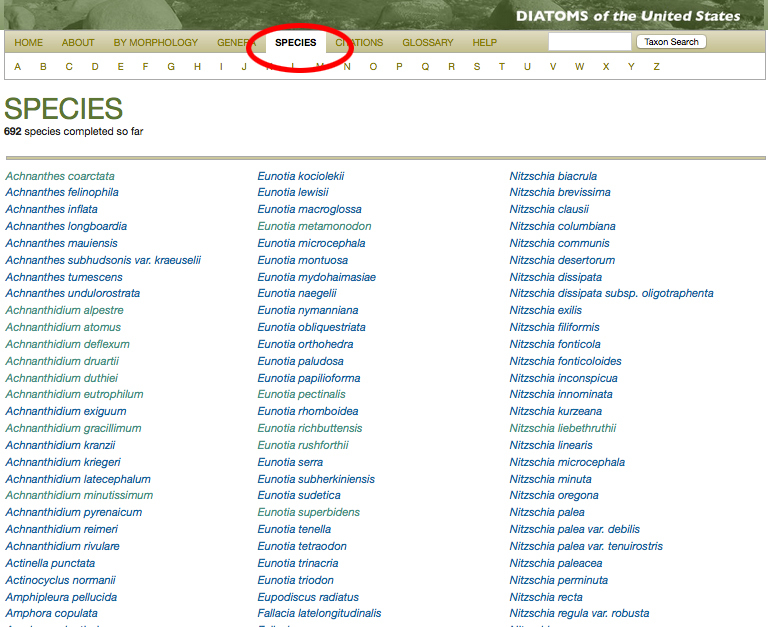 Starting this week, users will notice a difference in the order of species on each genus page. Previously, the iconic images of each species were ordered in alphabetical order. Now, the species are ordered by their maximum size. 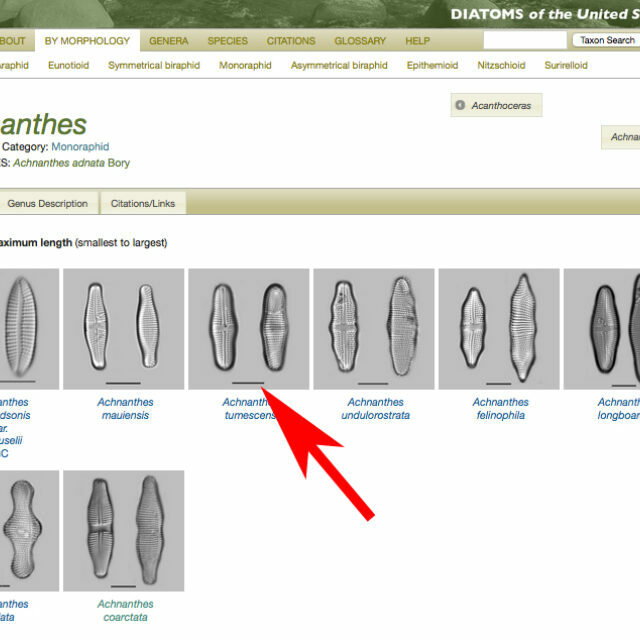 A: We found that for identification of an unknown species, it made no sense to order the species pages alphabetically! We did not know the name, so ordering by name was confusing! Because size and shape are starting points for identification, it made more sense to us to use maximum size instead, which lends itself to easy ordering. With a small number of species pages, ordering by A,B,C’s was an okay solution. As the content of the site grows, however, it gets difficult for users to scroll down a page and, at the same time, absorb visual information. Users will notice the greatest change for genera that have more completed species pages (like Navicula, Stauroneis and Eunotia). We hope that all of you diatom thinkers will find this arrangement easier to use. Let us know! Is it an improvement, or a step backward? 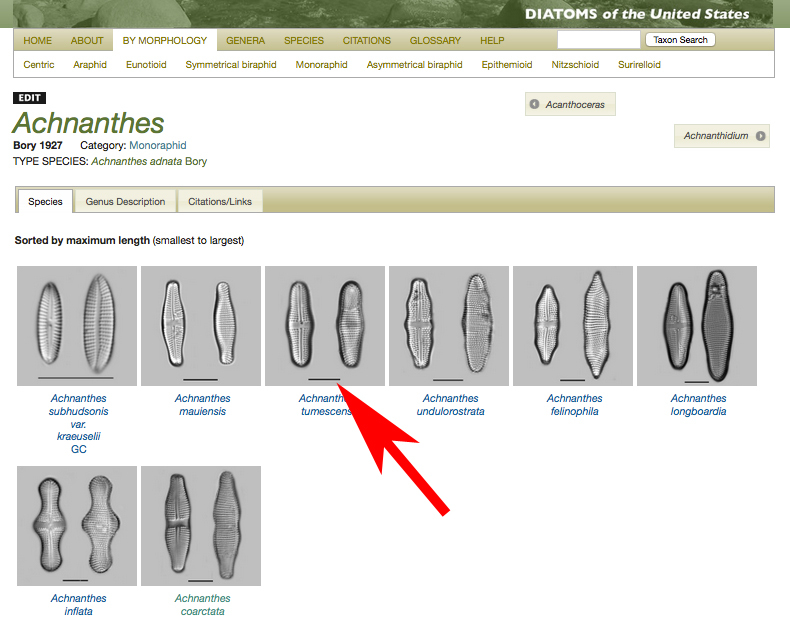 We like to hear from all of you to help develop the Diatoms of the United States online flora. The original diatom thinker, C.W. 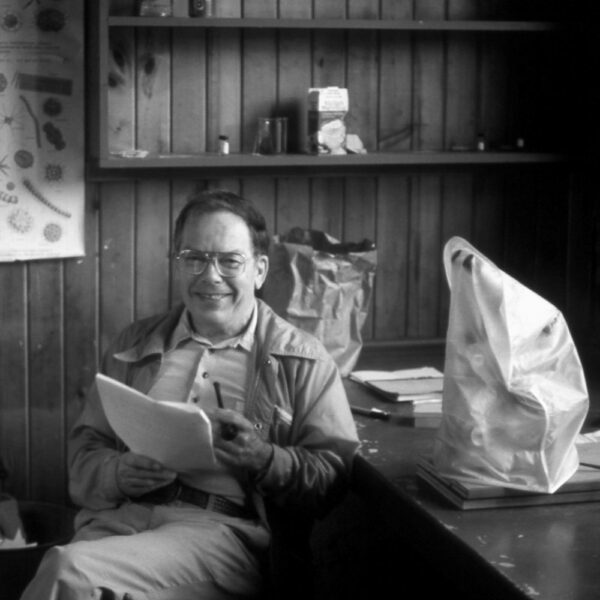 Reimer, in his office in MacBride at Iowa Lakeside Lab. Photo from sometime in the 1980's. The Achnanthes genus page shows iconic species images ordered by their maximum size. The red arrow points to one of the 10 µm scale bars that is shown at the bottom of every image. 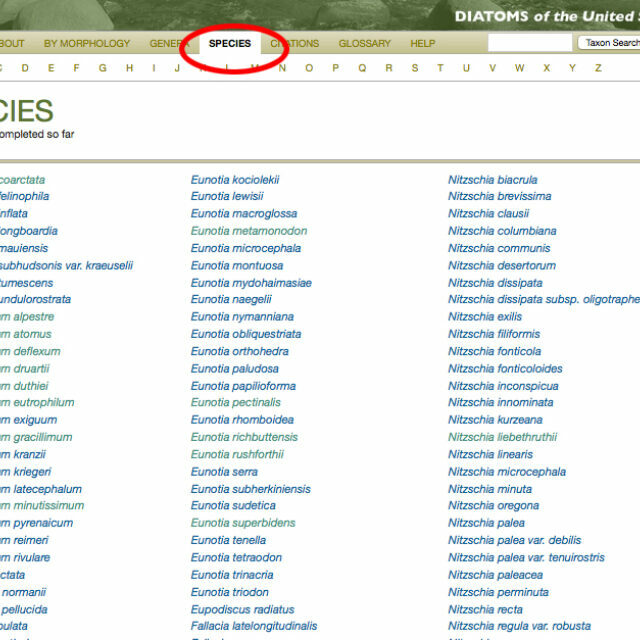 Under the SPECIES tab, users can still find species listed in alphabetical order.